When you're dreaming of coming to the black hills in the winter, you can't forget to think about Terry Peak! Our biggest ski resort with high speed lifts, the most skiable acres, and many modern amenities you will find at large ski resorts out west. You can't go wrong with what you'll find at our properties near this ski resort. You can ski all day, jump in the hot tub to rest your tired legs after at your private cabin, and hit the slots in Deadwood at night! Can't beat the convenience of all these things in one vacation! 2 Blocks from Terry Peak Lodge! 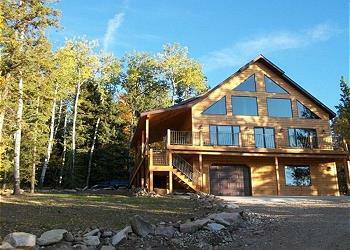 - Hot Tub and Internet - you can't go wrong with this cabin! Brand new build next to Peaceful Pines Lodge with similar floor plan and accents. 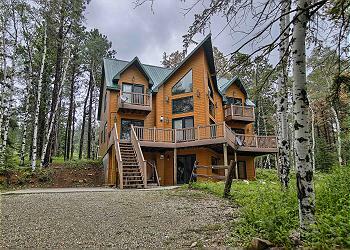 Within walking distance to the Terry Peak Ski area and snowmobile trails! Plenty of parking for your snowmobile and ATVs and a one car attached garage! Private Setting on Terry Peak, within 15 minutes of Deadwood. - Perfect for the Sturgis Motorcycle Rally! Cozy Log Cabin with Hot Tub, near Terry Peak! 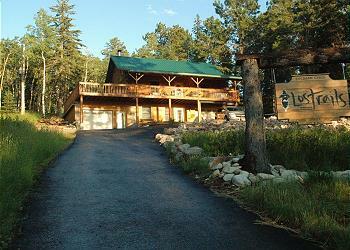 Sasquatch Gulch Lodge is the perfect cabin to enjoy during your next Black Hills vacation. Great views from the deck, your very own hot tub, a one-of-a-kind game room, and plenty of space to spread out and enjoy. Also close to Terry Peak! 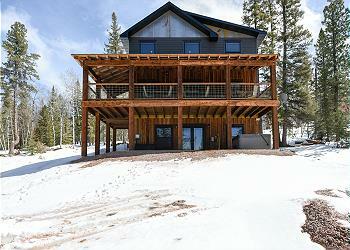 This newly built, 1,900 square foot log cabin is located on Terry Peak, just a few blocks from the ski slopes. 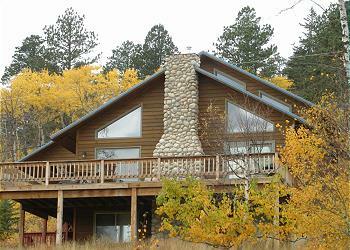 Overlooking Beautiful Black Hills Forest, just 300 yards from Terry Peak! Beautiful 3-bedroom home on a large lot, 8-person hot tub, sledding hill, close to trails and 1 Mile from Terry Peak Lodge. 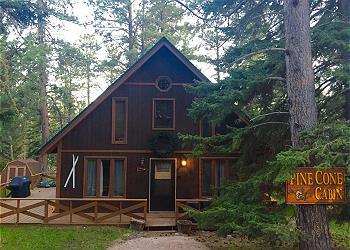 You'll be hard pressed to find a more beautiful cabin located near Terry Peak with a beautiful Black Hills view. This 5 bedroom home sleeps up 28, has enough room to spread out in, and includes a brand new hot tub and 14 beds to enjoy on your vacation! 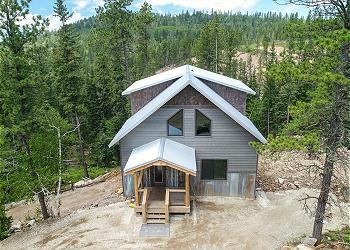 Ramblin' Rose is a newly built modern rustic cabin in the Terry Peak subdivision. With 4 Bedrooms, a hot tub, wrap around deck and a simple/relaxing theme, this home-away-from-home will become your new favorite vacation destination in the Black Hills. 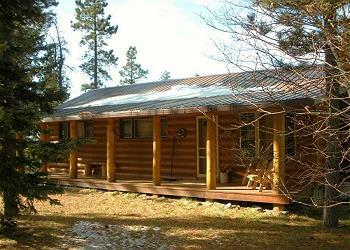 Your perfect log cabin set in the wondrous Black Hills! 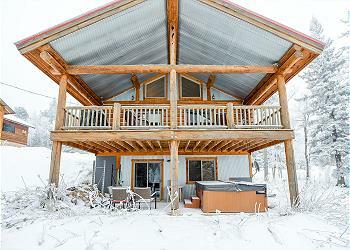 This perfect 2BR cabin near Terry Peak is the best place to enjoy a cozy getaway next to the fireplace. 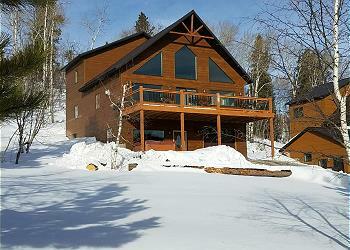 Close to ATV/snowmobile trails and local Skiing, you'll love coming home to Pines Peak Cabin! Beautiful Chalet in Quiet Mountain Area - 5 minute walk to Chair Lift! Your perfect home away from home, complete with 4 Bedrooms, mini bar, wrap around deck, and only 1.5 blocks from Terry Peak! 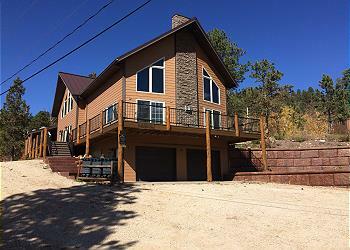 Complete with a hot tub, easy access to trails, and within 15 minutes from Deadwood! You'll love staying at Terry Edge Retreat! 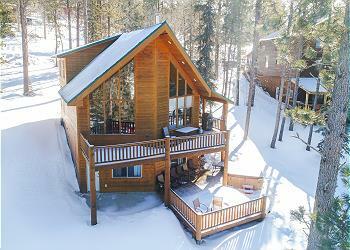 You'll love staying in this newly decorated cabin in the Terry Peak Subdivision. It's proximity to Deadwood is great, and you can ride your ATVs/snowmobiles straight from the home without having to trailer! Full of amenities - bring your friends! 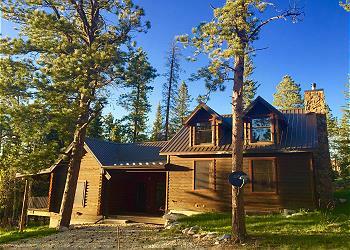 Wonderful new 5 bedroom lodge, with spanning views of the Black Hills Forest and offers a secluded location very close to the Stewart Lodge on Terry Peak!